Veterans Day is November 11th. This year, being that it falls on a Sunday, government offices and most public schools are closed Monday, November 12, 2018, for observance. 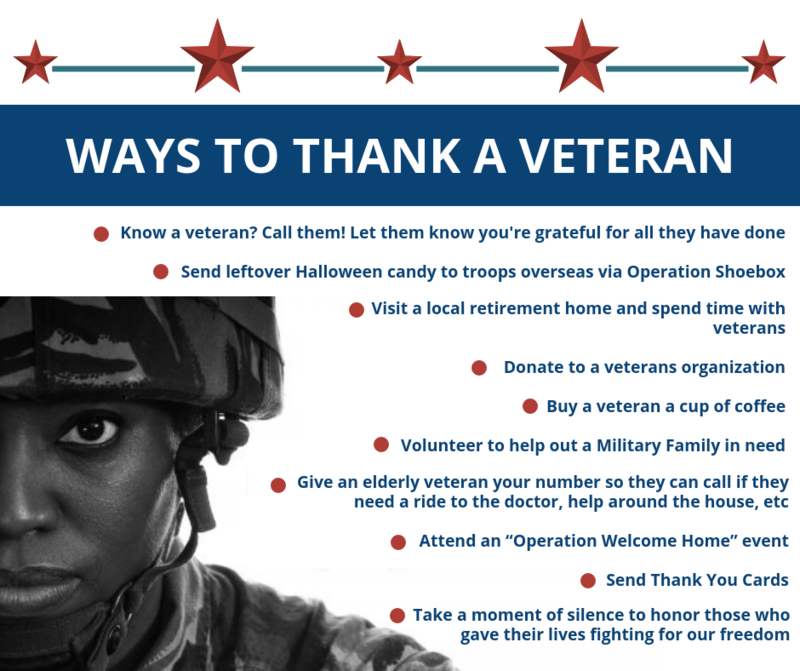 Therefore, in honor of Veterans Day, we wanted to share some of our favorite ideas on how to show gratitude towards our veterans. Let’s pay it forward and thank the people who fought for our freedom. 1. Simply introduce yourself and share your appreciation. A sincere, “Thank you for your service,” is always appreciated. 2. Know a veteran? Call them and check in. Let them know you’re thinking about them and are grateful for all they have done. 3. Don’t know what to do with your leftover Halloween candy? Send it to our troops overseas via Operation Shoebox. 4. Donate to a veteran’s organization. Here is a great resource: Military Families Needs List. 5. 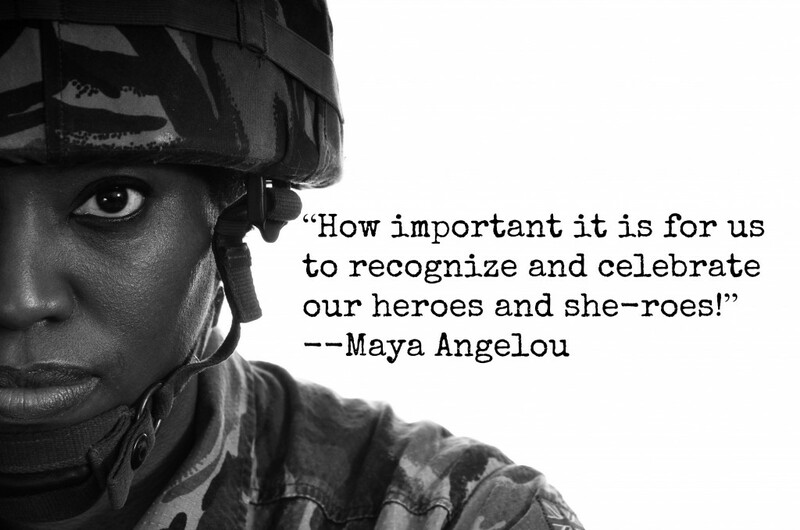 Visit a retirement home and ask veterans to share their stories. Listening helps us learn and pass on the history to future generations. 6. If you see a veteran out to dinner or at a coffee house, pay for their drink or buy them dessert. 7. Help out a military family in need. If you know one, volunteer to help out when you can. Shovel a driveway or deliver a home-cooked meal. Sharing your appreciation with the family of someone deployed can help make their day a bit easier. 8. Did you know Nearly 40% of veterans are 65 years or older? Give a veteran your phone number so they can call if they need something, (i.e., a ride to the doctor, help around the house, someone to talk to). 9. Attend an “Operation Welcome Home” event. Operation Welcome Home MD (OWHMD) averages about four welcome home events each week. So, grab some friends and head to the airport to clap and cheer as Soldiers, Sailors, Airmen, Marines, and Coast Guard service members arrive home from serving. 11. Take a moment of silence to honor all of those who gave their lives to protect our freedom. We at Hirschfeld Apartment Homes in Maryland would like to say thank you to all those who have served our country. We honor all the brave men and women who have served, are serving, and who have made the ultimate sacrifice for our freedom. Thank you. To share this post with friends or family and help spread kindness, use the social media icons at the top of this page.